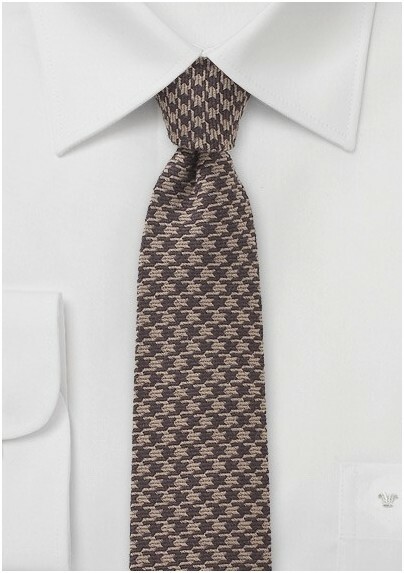 This Blackbird designed men's narrow-width necktie infuses a classic brown and tan houndstooth design with a youthful shape, adding a modern sophistication to any ensemble. 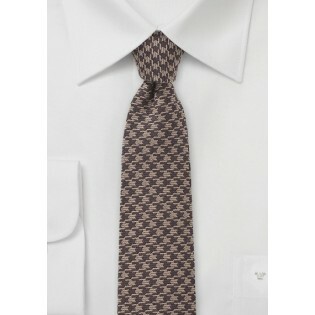 We suggest wearing this tie with a wool slim fit blazer, light blue chambray shirt, and a narrow bronze colored tie bar. Handmade from 78% wool and 22% silk.